6 girls trying to make a difference. Bringing STEM education worldwide. We are creating an initiative called Coding Exchange that aims to bring computer science to students in countries who have minimal access to technology and computer science education. 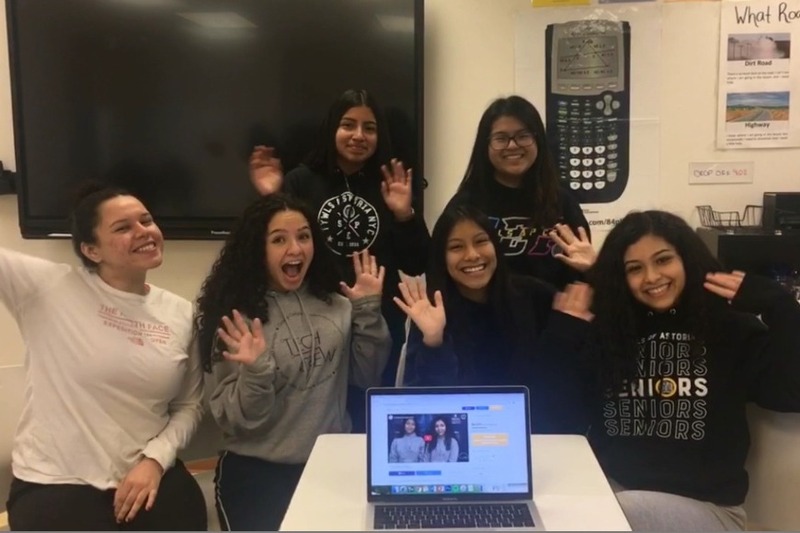 Coding Exchange will send a small group of students and teachers to peer teach project-based coding curriculum and virtual reality storytelling. We plan to train teachers to set the foundation for a sustainable computer science class in our partner schools and facilitate a cultural exchange between students. We have chosen to launch our initiative this year in Mendoza, Argentina. In Argentina, only 60% of students meet the primary learning achievement in science. This drops to 51% in rural areas and only 50% in the poorest populations (Global Education Monitoring Report). To address these low levels of science comprehension that will not meet the country’s high demand for STEM professionals, Argentina’s government recently passed a policy called “Learn Connected.” The national program will “implement digital education, programming, and robotics for all mandatory levels - initial, primary and secondary - [...] reaching almost 8 million people.” (argentina.gob.ar) Coding Exchange will support the government’s efforts by partnering with a rural public school that needs support piloting their STEM education program. Our goal is to travel to Argentina for a week in early July 2019. We will provide students with technology and school supplies while peer teaching students and teachers the STEM curriculum that we have created in partnership with our school’s programming and Spanish classes. We will be modeling our curriculum and teaching practices on NYC's Computer Science initiative (CS4ALL). This experience would truly be a global exchange of coding practices, culture, and ideas. We'd like to wholeheartedly thank everyone who has taken the time to share and donate to our Go-Fund-Me for getting us nearly halfway towards our goal! The entire team is very excited about all the progress we have made and we will continue to work hard on our curriculum and outreach. If you can, please continue to share this on social media and help us continue our mission. You never know how far your word can reach! Thanks again, we hope to update you all very soon with more good news!